Border Wall Deal: Which Party Won? Lost? 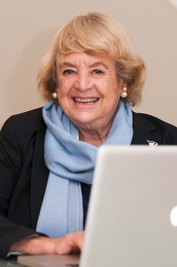 Margaret (Peggy Sands) Orchowski has covered immigrationreform on Capitol Hill as a Congressional Journalist since 2005, as the Bill Analysis Editor for Congressional Quarterly, a Congressional Correspondent and for the Hispanic Outlookmagazine. Since 2016 she also is the Senior Correspondent for The Georgetowner newspaper writing under the byline Peggy Sands.